Just finished my last Management Science lecture for this semester. This is the first time I theach this introductory course to Business Students. Topics are linear and integer programming, goal programming, simulation and network models. A view over my workload on the course is given below (red lecture and green preparation). 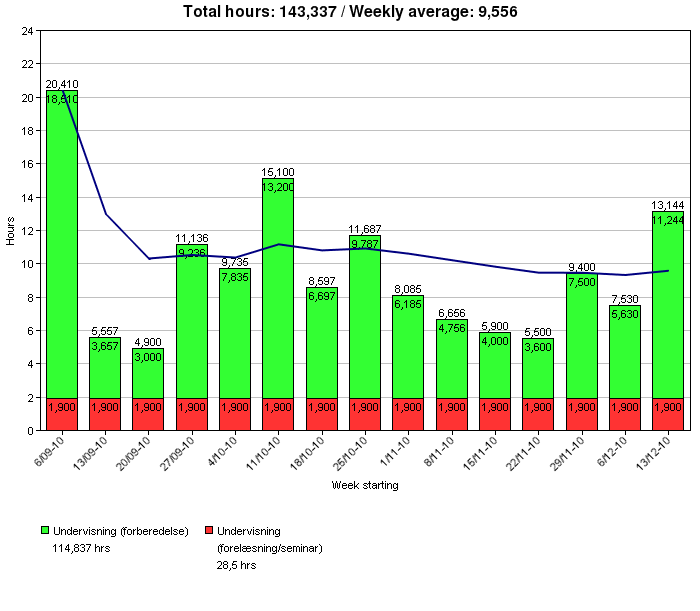 This is above the norm which is 105 hours, which I hope is due to that it is the first time I have the course. In general my experience with the course was fine. However, next year I will try to use more realistic cases.